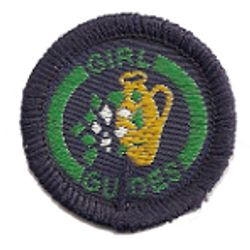 Interest badges (originally known as Proficiency Badges) have existed from the earliest days of Guiding. 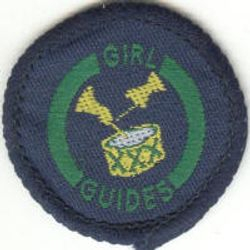 They were designed both to encourage the girls to take up new practical pastimes which would make good use of their free time (and perhaps even encourage a hobby which might turn into a career) or encourage them to develop existing pastimes or skills to a more advanced level by setting progress targets to achieve - and to encourage the girls to learn practical skills for use in good turns - which could be of use whatever their future held. 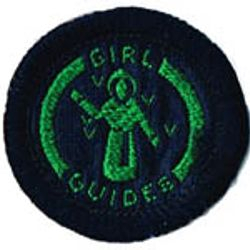 Then, as now, interest badges were intended to be tackled by the individual who is especially interested in that particular topic, and the aim is not just that the girl should be encouraged to pass the set clauses listed in the syllabus, but that she should be challenged to extend and improve her existing skills as far as she can, develop new skills or techniques, and use the skills thus gained to serve others. Testers have always been asked to e ncourage the interest and suggest ways of progressing the hobby beyond the stage currently reached. With such a wide range there was no question of anyone being simultaneously keen on all these hobbies, and 'Badge-hunting' was specifically discouraged by the founder! If someone would like to see a syllabus for a particular badge at a particular period, I may be able to help as I do have some old badge books of assorted vintages, however it may take time, and I cannot guarantee to provide the syllabus from or covering any specific year, because syllabuses were not always changed annually, or on any sort of regular cycle . . . 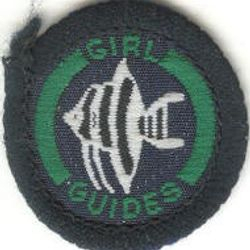 Prior to July 2018, Rainbows were not able to earn interest badges of any sort. 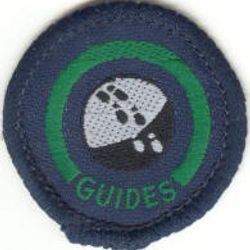 There were occasional National or Regional challenge badges which they could participate in and earn, such as the 'Adventure 100' challenge during Guiding's centenary year, but unlike interest badges, these were tackled as a whole unit during meetings or outings, not individually at home - and all the Rainbows in the unit gained the badge regardless of whether they all attended every badgework session, or not. 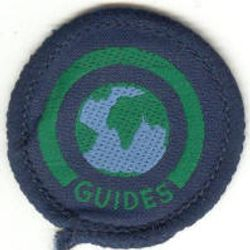 tHence, unofficial activity packs with badges, often as a fundraiser for Guiding international trips, were popular. From July 2018 the new Rainbow programme was launched, introducing a selection of Interest Badges for the Rainbows to work on at home, to fit the 6 programme Themes. The Rainbow Interest Badges are: Family Tree, Animal Lover, Storyteller, Drawing, Healthy Mind, Fruit and Veg, Nature, Agility, Recycling, Helper, Construction, and Book Lover. By 1933 some further badges had been issued - Booklover -1932 - (blue), Jester (blue), Musician (blue), Thrift (blue), Writer - 1932 - (blue), Gardener (yellow), Needlework (yellow), Toymaker - 1932 - (yellow). It was around 1940 that the more familiar yellow embroidered designs were introduced, still in triangle shape, and all on brown felt, as with the Thrift badge shown above. 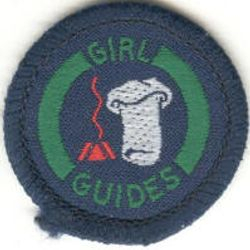 As felt did not wash well (even if the edges were blanket-stitched to help reinforce) it was necessary for the badges to be removed from the uniform before each laundering and replaced again afterwards (Hence many old photographs which show badges which appear to be rather loosely stitched on in the middle, and not stitched on at all around the edges). 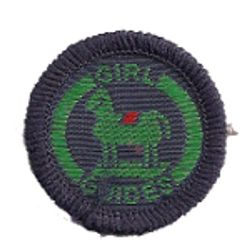 It wasn't until the late 1940s and 1950s that sturdier woven badges were widespread. These also tended to be clearly machine-stitched, bound round the edges, and had differing cloth or paper backings to reinforce them. Shiny thread was introduced too. 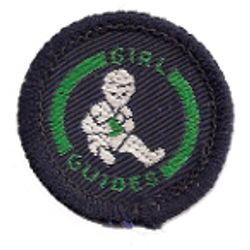 During the 1990s, the working on the badges was altered from 'Girl Guides' to 'Brownie Guides' - as the organisation's name was altered from the "Girl Guide Association" to "The Guide Association". There was one exception to the standard shapes - the 'Quest' badge, based on religion, was introduced in the 1980s, and, unusually, was an oval shape rather than the standard triangle, and didn't have the 'Girl Guides' text on it. (It isn't clear why this should be so - it was similar in style to the other badges in terms of syllabus content, testing etc.) 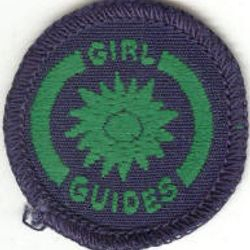 Certain religions or denominations had their own challenge badges which could be earned and worn on Brownie uniform too, such as Baptist, Church Army and Salvation Army. There are several reasons why interest badges from before the 1950s are comparatively rare. 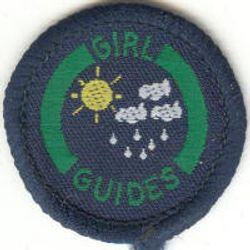 Firstly, until 1950, it was an official rule in "Policy, Organisation and Rules" that Brownies must hand back all their interest badges when they left the pack - the idea was that these could then be re-used, but of course it also helped to reduce 'leakage' of badges - the only source for interest badges was controlled. 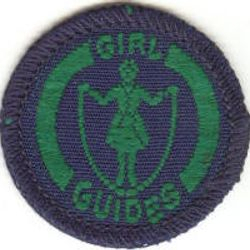 A few packs allowed Brownies to retain their badges if they were willing to buy them out (even though the rulebook strictly forbade this), and some allowed girls to keep their badges without any extra charge, but this rulebreaking wouldn't be widespread, especially during wartime when badges were often in short supply - and in some areas Brownies wouldn't have been able to afford to buy out their badges anyway, even if the option were offered them. 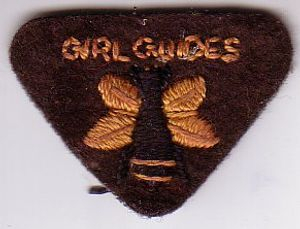 Also, for many years, Brownies couldn't start to work for interest badges until they had completed Golden Hand - as many had little or no gap between completing Golden Hand and 'Flying Up' to Guides, so even the keenest Brownies tended to get no more than three or four interest badges prepared and tested in the limited time available. 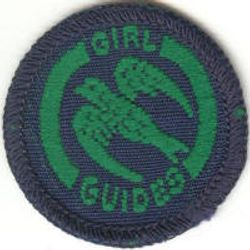 Later a rule was introduced which allowed them to gain up to two interest badges after gaining Golden bar, excluding Thrift which could thus be a third badge. 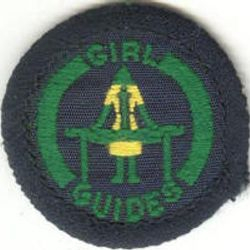 This helped, but it was only in 1968 that Brownies were allowed to work for interest badges as soon as they had made their Promise, and were thus able to earn as many as they wished during their time in the unit. And finally - most badges from before 1950 were made of unbacked felt, were never very sturdy and were a very easy target for moths! You may also see some rare 'homemade' interest badges - these are usually from the early 1940s, when rationing and shortage of materials, factories focussing on war work, and the bombing of warehouses, meant that the manufactured badges were at times hard to come by. (There may also have been homemade badges during World War I for similar reasons, though these would be especially rare). These badges were worn sewn on the right sleeve, in pairs, up until 1990 - thereafter they could be sewn on the sash in the position of the wearer's choice. 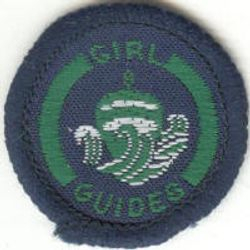 Where there is an ordinary badge and an advanced badge, the advanced badge has a pale blue background rather than the standard yellow background. 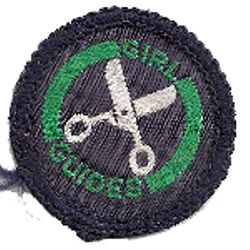 In July 2018 a new programme for Brownies is introduced, and interest badges revert to solely being worked on at home, with a year of programme transition. All previous interest badges are then withdrawn, and there is a new selection of badges, arranged by theme: Collecting, My Rights, Local History, Performing, Baking, Painting, Dancing, Grow Your Own, Mindfulness, Archaeology, Aviation, Space, Speaking Out, Charities, Zero Waste, Inventing, Jobs, and Languages. 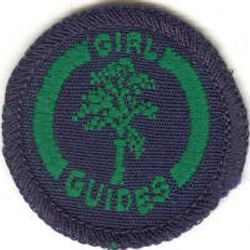 Other badges for Brownies were the Venture Badge (given for taking part in a pack project of some kind) and the Sixer and Seconder Badges. Originally these were a set of yellow stripes - one stripe for the second and two for the Sixer - worn around the sleeve, later in the form of a smaller badge worn above the Six Badge. 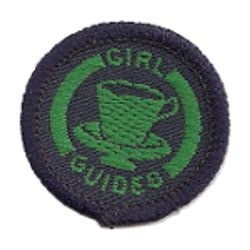 If you see a badge which is brown with three yellow stripes, that is actually a Guide badge, for a Pack Leader (now known as a Brownie Helper) - a Guide who also helps at a Brownie unit. 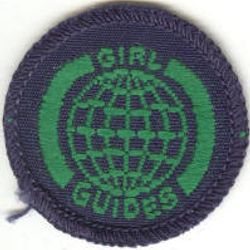 For some years (and prior to 1968) there was a separate 'Brownie World Badge', similar to the Guide World Badge, it was a brass pin badge in an oval shape which featured the then Brownie salute (of two fingers raised together rather than the current three) in brass on a blue enamel background. 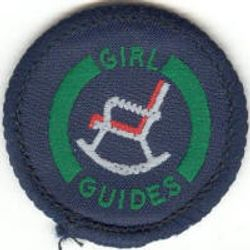 From 1991 a series of staged badges were introduced, which were available to Brownies, Guides and Senior Section, as they covered skills or hobbies which one might start to learn at varying ages in different localities. 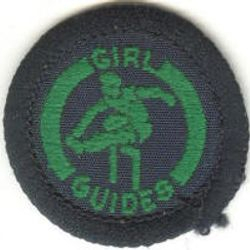 It meant that girls could tackle a stage appropriate to the progress of their skills - they did not have to do stage 1 if they could already manage stage 3. Chess was the first, and featured the appropriate number of chess pieces in brown on a yellow background, followed by short tennis. After this the designs were all standardised as a mid-green square with a design (usually in yellow), and numbers at the bottom, the number in red being the stage awarded. 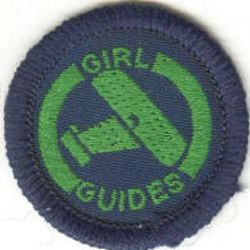 In each case, as the staged badge was introduced, any related Brownie interest badge(s) were withdrawn. 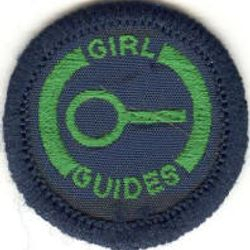 Guide interest badges have always been by far the most numerous. They have been around for the longest time, and have tended to cover the widest range of subjects. Perhaps because of this, at times different topics have been merged under one badge, been split into separate badges, renamed, or had the badge design altered while retaining the same name and much the same syllabus as before. New badge topics have been introduced, and old ones dropped as outdated. I will try to steer a path of sorts through all the tangles! For those of us who are not into technicalities about backings, there are now 7 basic badge eras. 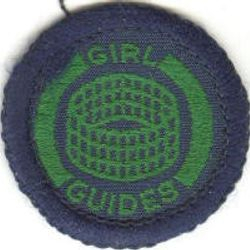 T hirdly, large badges embroidered in dark green on a navy woven background, marked Girl Guides, from 1931 onwards. 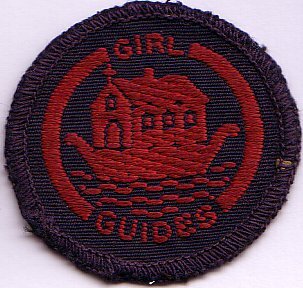 (The badge shown is laundress). Fourthly, the smaller badges, introduced 1967 to suit the new 3/4 length-sleeved blouse, embroidered in mainly dark green on a navy woven background. 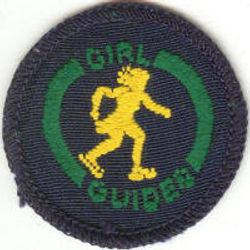 (The badge shown is country dancer). 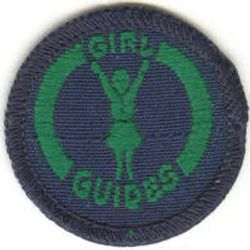 Around 1993 the wording was changed from 'Girl Guides' as shown, to 'Guides' marked at the bottom of the green circle, because the organisation changed it's name from Girl Guide Association, to Guide Association. 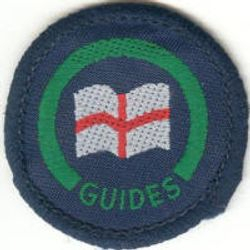 In 2002, a brand new range of multi-shape, multi-colour badges were introduced, at which point all the existing Guide badges/syllabi were dropped, as were all of the staged badges which had been available to all sections up until then. In 2013, new designs for the interest badges were introduced, (no new ones were added to the range), which has brought in a return to having a uniform size of round badge, featuring the badge's name and logo within a star shape (resembling the shape of the new-style Guide Challenge Badges), with a range of different pastel-shaded background colours (there doesn't appear to be any meaning attached to which colour of background a badge has). 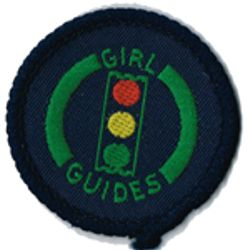 In July 2018 a new Guide Programme was launched, with a 1-year transition period, which brought a new selection of Interest Badges again. Colour-coded to match the programme themes, these are strictly for the Guides to work on at home. However, especially pre-1968, there are all sorts of anomalies which sometimes appear, so just because a badge doesn't fit into any of the formats listed above, don't automatically rule it out as fake, it may be a badge from another country (several countries such as Canada and Australia have had similar interest badge designs to the UK ones at times which can be mistaken at casual glance), or may have been a sample or short-lived experimental design, or a home-made badge from a time when official ones were hard to obtain. 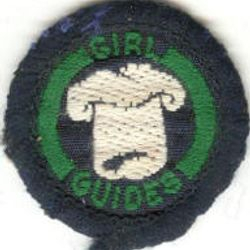 During WWII in particular, there were times when certain badges were in very short supply as factories focussed on war production, and warehouses of stock were affected by bomb damage - because of this, sometimes handmade badges were created by Guiders or Guides as a makeshift, such as the homemade Emergency Helper badge shown on the left. 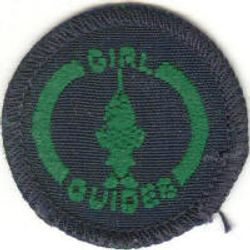 There were also occasions at that time when for similar reasons Guide badges were adapted for use by Rangers by oversewing the green circle of the design with red thread, a bit like the first Ranger interest badges (and who knows, perhaps the reverse process was done with green thread if the shortage was of Guide interest badges). 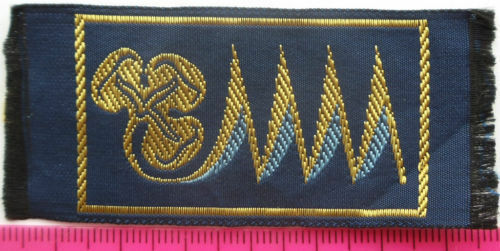 These should not be confused with badges which were earned as a Patrol, which had the navy oversewn binding on the outside edge of the badge hand-oversewn with thread in the same colour as the Company's tie during the 1970s and 1980s (possibly earlier too) to indicate that they were earned by the Patrol as a group project rather than by the individual Guide as a solo effort, as was the norm with interest badges. 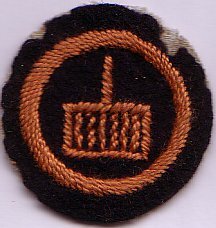 During wartime, too, special War Service badges were brought out which could be earned for giving a certain amount of time to specified sorts of recognised war work - this could be work in agriculture, in factories doing war work, or at home by putting in a certain number of hours in knitting or sewing of garments for donation to charities or servicemen. These badges were marked with the year, or in the case of WWII were supplied with separate year strips, so they could be gained afresh for each year's war service. 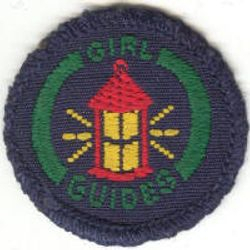 As with Brownie badges, prior to the 1950s most Guide badges were made of felt, which did not take kindly to laundry (even if you oversewed the edge as many people did), or moths! 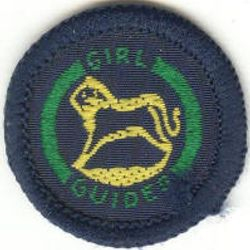 Also, it was a strict rule that Guides must hand back their badges for re-use after they left the unit, and Guiders were not meant to allow them to 'buy-out' their badges (although some units would allow members to buy out their badges, many stuck to the rules, and either way, not all could afford to buy out their badges even if that option was offered). 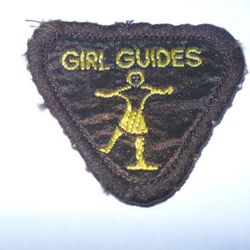 For these reasons, interest badges of the earlier designs are rare, albeit more common than the Brownie badges are. 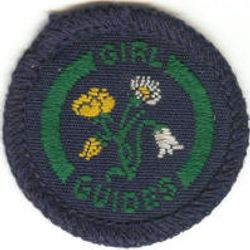 Until 1968, Guides could not start to work for interest badges until they had completed their Second Class, thus limiting the time available to work on badges whilst in the unit (although they were far better placed than Brownies in this regard, as most would have at least a couple of years in the unit after gaining Second Class, in which to work on interest badges if they wished to) and thus the number earned tends to be higher than for Brownie badges. 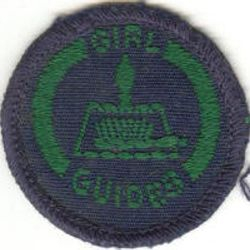 The Campfire/Choral Patrol/Chorister badge (it went through several names!) is unusual in that it was an interest badge which a Patrol would gain together, rather than an individual badge as all the rest were, and so was in some ways similar to the later Patrol Interest Pennants. 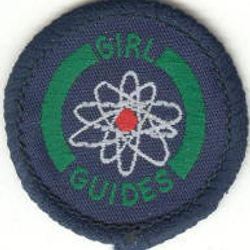 Another one-off badge was the service flash, made of ribbon, which was awarded to girls who did a certain number of hours of community service work, usually with a Brownie Pack although it could be done with other groups too. 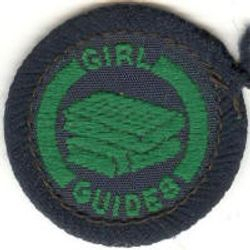 The badge awarded was a ribbon strip with a jagged design in blue and gold. 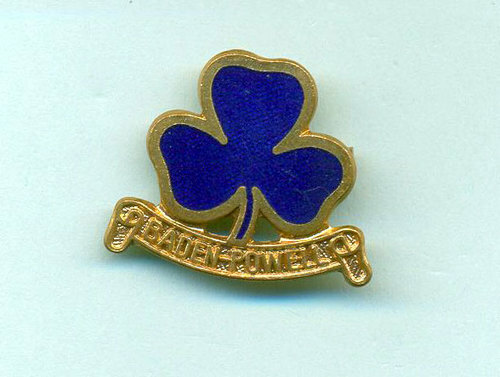 The one shown features the original trefoil, later ones had a newer-style trefoil in blue and gold to reflect the changed design of the Promise badge. If a Guide helped long-term with a younger age group she could be appointed as a "Pack Leader" or "Rainbow Helper". 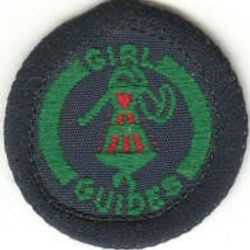 There was a special Brown rectangular badge with three horizontal stripes (green stripes for Rainbows, yellow for Brownies) which was worn just above the cuff of the Guide uniform pre-1990, and on the Guide sash thereafter. 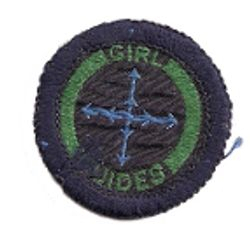 The Patrol Leaders and Seconds had special badges, with one stripe for a Second, and two stripes for a Patrol Leader (if someone was appointed 'Company Leader' they wore three stripes). 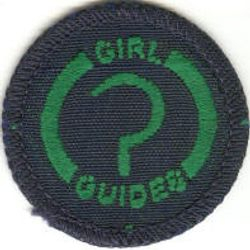 These were originally worn vertically on the pocket of the uniform blouse, after 1968 much smaller curved badges for PLs and PSs were produced, which were worn under the Patrol badge (Company Leader was abolished in 1968). At one stage, a special range of interest badges was available for Extension Guides (the name then used for Guides with disabilities, who often belonged either to special Extension Lone units, or to Extension Hospital units if they were in-patients). In 1939 these badges were: Ambulance, Collector, Gardener, Handicraft, Hostess, Language (for the deaf), Observer, Sick Nurse, Sportswoman, Thrift. 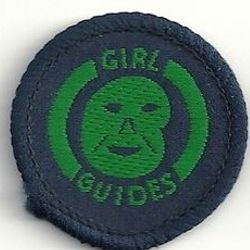 These had mauve edges to differentiate from the regular badge. This did not preclude extension Guides from earning mainstream badges too. 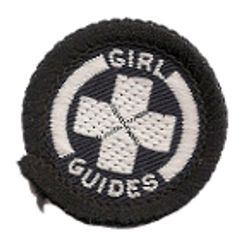 The total number of different Guide interest badges in the list is high, but it's important to be aware that some badges were not necessarily long lived - or frequently awarded. There were many revisions of badges, including a major one in 1983 when all the different farming-related badges were merged under 'farmer', for instance. 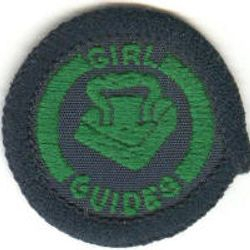 Usually, mergers or withdrawals were a reflection of how rarely certain badges were awarded, reflecting changing hobbies and lifestyles just as much as the introduction of new badges did - milliner was dropped as hat wearing became rare - and equally computer badge was introduced as home computers became commonplace. Aircraft/Flyer was dropped as it became less common for Guides to have the opportunity to learn to fly, but was later re-introduced with a focus on Guides learning about different types of aeroplanes and how to help at airfields as ground crew. At other times the names of badges were altered for varying reasons, (such as empire knowledge becoming commonwealth knowledge in 1959 as the 'empire' name was being more generally dropped). 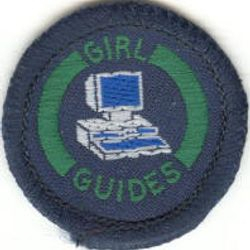 Although lists can attempt to give a rough start date or date by which a badge was known to exist, it is usually difficult or impossible to confirm accurately when particular badges ceased to be available, or when newer styles or versions were first issued, unless clear references to the withrawal can be found in official publications. 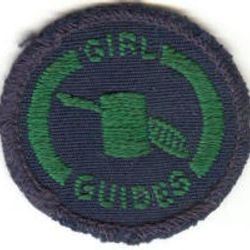 We also have to recollect that Guiders were thrifty - they often held stocks of badges, which meant that older-style badges could continue to be issued to Guides in order to use up the stocks for several months or years after a newer style first became available from headquarters, and unless they subscribed to and read the official magazine, it could take time for news of changes to filter through anyway. 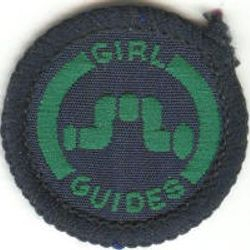 There also tended to be official lag-times build in - badges which were being withdrawn usually had a certain period of 'grace' or transition time following the announcement of the change, in which those who had already started working on a badge could finish off their work within a certain timespan and still gain the award, before the badge was finally and fully withdrawn. Hence I've made no attempt to put down name change dates, and only put down end dates where I have seen official confirmation of them - so it may be that the badges you received don't quite match up with the dates listed! 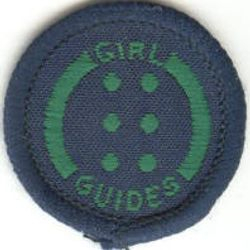 Guide badges were generally sewn on the right sleeve, in pairs (where a Guide had too many badges to fit, she could add an extra column - or two! Special service badges such as First Aid would be worn on the left sleeve - usually these were badges which had to be renewed every two years to confirm the training was kept up-to-date. From 1990, all badges could be sewn on the Guide sash in the position of the wearer's choice, and there was no differentiation between them. 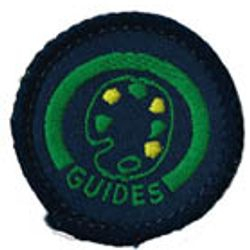 In 2000, all the existing Guide interest badges were withdrawn, and replaced with a totally new set, hence their being listed separately below. These new badges came in various shapes, colours and designs. In 2013 the badges were redesigned, the same names/syllabuses being retained, but the badges themselves being of a standard shape and design. 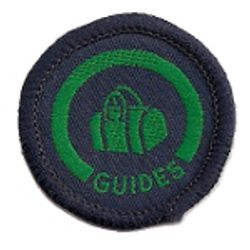 And between July 2018 and July 2019 all the existing Guide interest badges were again withdrawn and replaced with a totally new set again . . .
Human Rights, Personal Brand, Aspirations, Guiding History, Photography, Vlogging, Confectionery, Media Critic, Fitness, Mixology, Natural Remedies, Meditation, Geocaching, Navigator, Whittling, Backwoods Cooking, Campaigning, Craftivism, Conscious Consumer, Be Prepared, Upcycling, Saver, Investigating, and Fixing. As well as ordinary interest badges, up to around 2000 there were 'collective emblems' - badges awarded for gaining a certain selection of interest badges based on a similar theme. Shown is the 'Little House' emblem in it's pre-1968 design - awarded for gaining badges with a homeskills theme, and with a design based on the playhouse given to the young Princesses Elizabeth and Margaret by the people of Wales. The Woodcraft emblem showed a tree on an elongated 'house-shape' badge, and was worn on the top of the shoulder. 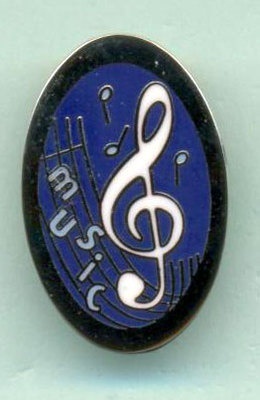 Post-1968, the badges were of a standardised shape and design on a mid-blue background, as with the Arts & Crafts emblem on the right, and were all worn in the same position on the sleeve. From 1968 to 2000 there were also Patrol Interest Pennants. These were special challenges which were tackled as a Patrol, with all the planning, organising and carrying out done jointly by the Patrol without Guider involvement. 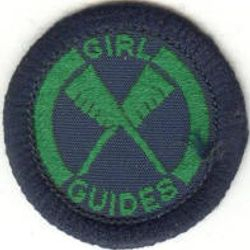 Initially, a large felt fabric pennant was issued for display in the Patrol corner, in blue with white print except for Science and Technolgoy (which was in black print on yellow), later these were replaced by the issue of individual badges for each participant to be worn on the uniform sleeve, all in the same white on blue format (the one shown above is for Camp Preparation) - which also helped to make it clear clear which individuals had been members of the Patrol when the pennant was earned, and ensured that those individuals who participated each had something to show for their share of the work - and new generations in the Patrol were encouraged to work for the pennants too. Patrol Purpose Patches were awarded where a Patrol took on and carried out a special project of some sort together, approved by their Guider - the criteria regarding what sort of projects could count towards the Patrol Purpose Patch were extremely flexible, as was the scale and the timespan of the project to be carried out, so a large number of these badges were awarded. 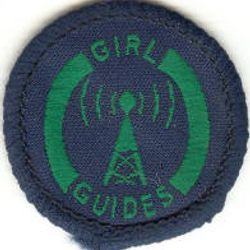 In addition to this, Guides who were experienced campers were able to work for a special qualification, the Patrol Leader's Permit, later renamed the Patrol Camp Permit. This was a special qualification which allowed an experienced Guide to take a group of her fellow Guides away on a Guide camp without any adults being immediately at hand, and to plan and run every aspect of the camp by themselves. 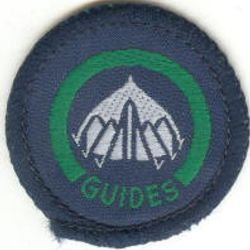 It was first introduced in 1941, during World War II, when many Guides were not getting the opportunity to camp due to lack of available adults, and it is still gained by many Guides across the UK today. 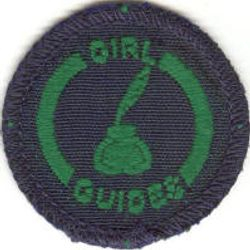 From 1991 until around 2000, Guides were also able to work on all the 'Staged' interest badges, as mentioned in the Brownie Badge section above. 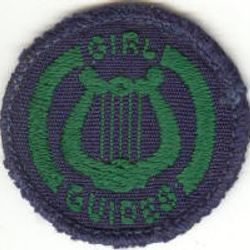 The idea of staged badges was that they covered hobbies which different individuals might start to learn or take up at different ages - so any individual could tackle the stage appropriate to her progress in the hobby, there was no need to do stage 1 if an individual felt ready to tackle a later stage straight away, nor any problem with a Guide or SS member tackling stage 1 if the hobby was recently started and that reflected her progress in the hobby to date. 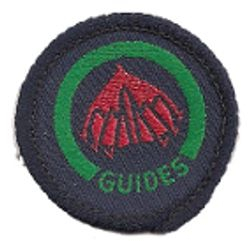 Where staged badges were introduced, they tended to replace the related Guide interest badge, which was withdrawn. 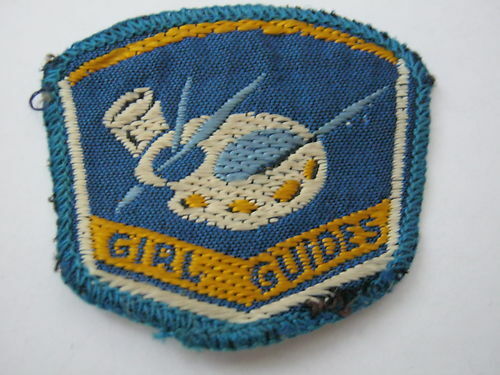 From 1910 to 1968, after enrollment, Guides worked for their Second Class badge. There were a number of set challenges to be completed, and these could be tackled gradually. 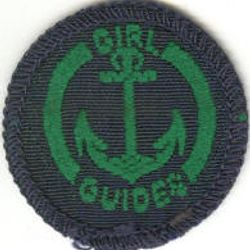 Once completed, the Second Class badge was awarded, and the Guide could commence working for First Class. 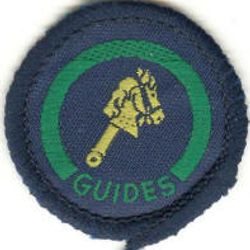 The First Class Award was the highest mainstream badge, and although the handbook made it clear that all Guides were expected to earn it, in reality the completion rate tended to hover somewhere around the 10% mark. It took the form of a wreath which the Second Class badge sat in - originally the Second Class badge would have been removed from the sleeve and sewn into the space on the First Class badge, later the First Class badge was issued as a one-piece. 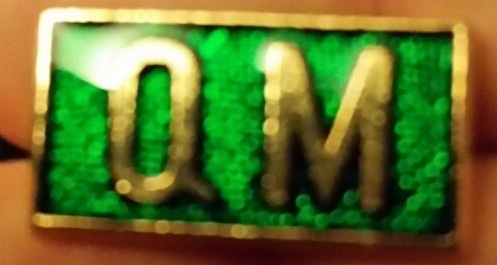 The image shows the metal version of the badge which was available for adult wear. Once First Class had been gained, there was the option to press on towards All-Round Cords, and Gold Cords. 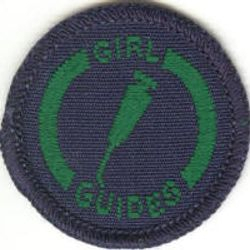 To gain the cords a Guide had to complete her First Class Award, and then gain a certain selection of other interest badges in addition. Special First Class badges were also available for certain scenarios. 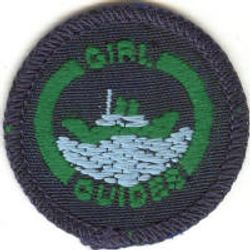 The Green First Class Badge was available to girls who could fulfill every part of First Class except the badge regarding swimming (either for health reasons or lack of facilities). The Blue or Mauve First Class Badge was for members of Extension Units. From the founding of the Ranger Section, through to around 1941, a certain number of interest badges were available to Rangers. 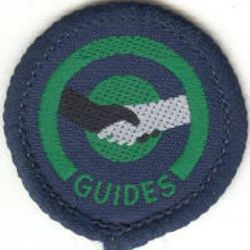 These were produced in the same style as the Guide interest badges were, with the early designs basically being the same designs as the Guides had, but having a red circle around the logo instead of blue, as can be seen with the thrift badge shown on the right. 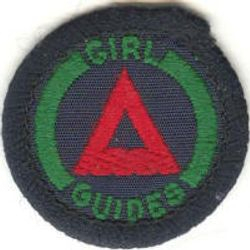 During World War I many badges were handmade, or Guide badges were overstitched with a red edging to indicate it was intended as a Ranger badge, due to the shortages and comparative rarity of Rangers as compared to Guides. 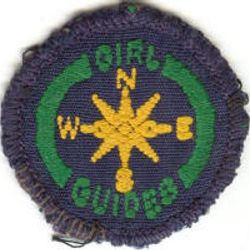 During the 1920s, as with Guide interest badges, a change was made to a navy felt background, the Ranger badges having all-red stitching, as with the Cook badge on the left. 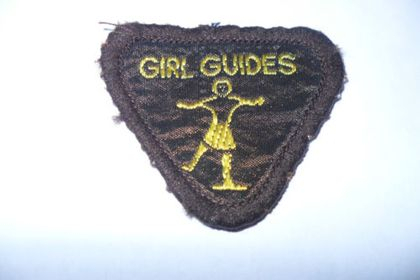 (in order to reinforce them, the Ranger would often oversew the felt edges of the badge too). 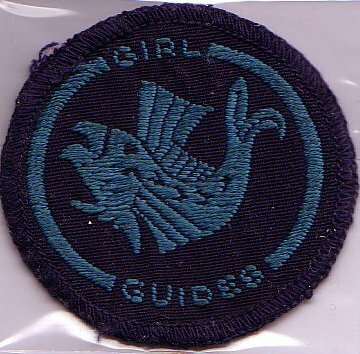 Some of the badges were then also produced with blue stitching, for Sea Rangers - both those badges which had nautical links and, it appears, also some interest badges on more general topics too. 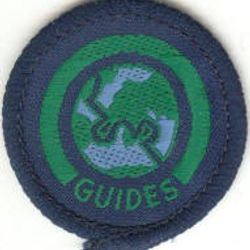 It is not certain whether a full range of Ranger interest badges were manufactured in Sea Ranger colours - it is possible, but it's considered more likely that production would have depended on demand, given that there were naturally fewer Sea Rangers than there were mainstream ones, and therefore reduced demand for the less common ordinary interest badges to be produced in the Sea Ranger colours. 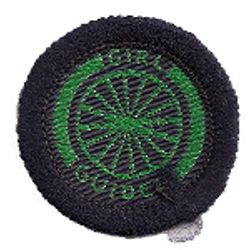 Ranger interest badges are not that rare in the later woven format, though the value depends on rarity and age - though they are fairly rare in the white felt of the 1917 - 1922 era and moderately rare in the navy felt of the 1920s, they are comparatively common as the machine woven badges of the 1930s and 1940s (such as the cook badge shown on the left), and it also depends on how commonly done the particular badge was - some badges are always more popular than others. 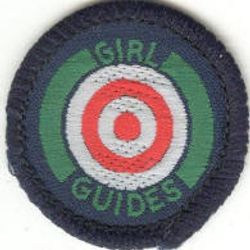 It should be borne in mind that some of the Ranger badges which are listed as being introduced in 1939, though they appeared in "Policy, Organisation and Rules" for that year, may never have actually been manufactured, given that shortly after they were announced, manufacture would have started to be disrupted by wartime shortages and priorities, the limited demand for some topics, the disruption of war which meant many Rangers soon had most of their spare time occupied by war work and community service, and the withdrawal of all Ranger interest badges in c1941. 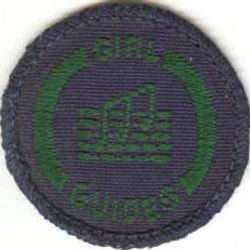 There were also the extra-large size 'Trade' badges produced specifically for the Ranger age group, related to areas they might be employed in in their professional life - at that time, the minimum school leaving age was 14, so a significant number of working class Rangers would automatically have had to leave school then and would be well established in paid employment of one sort or another by the time they joined the Ranger unit at 16; those from middle classes might take up work later, during their time in the unit. 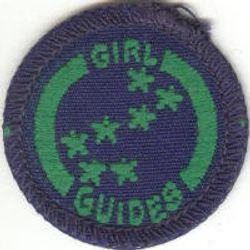 According to the 1918 handbook, there were different colours for different types of trades (it's not clear whether this refers to all parts of the badge, or whether it means a coloured border, or coloured motif, as no illustrations are given, and this was in the white felt badge era), and a wide range of badges - by 1920 there was a strip of coloured braid worn round the right arm 2 inches below the shoulder, the colours being Science and Health - Red, Arts and Crafts - Purple, Professional - Yellow, Manufacture - Brown, Commercial - Black and White, Home Craft - Blue, Outdoor Work - Green. By 1935, the trade badge selection was far smaller, as can be seen by the list below, and they were all in standard red as shown on the right. As well as this, Rangers who had not done so as Guides were able to work for their Second Class, First Class and All-Round Cords. 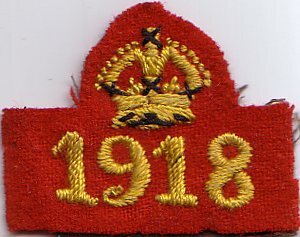 The Ranger Second Class badge was sewn with red thread rather than green, and the Ranger All-Round Cords were in red and white, rather than in blue and white. 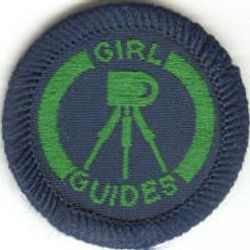 Because interest badges for the Ranger age group were discontinued before Air Rangers started, it can be assumed that there were no general interest badges produced for them, although specialist Air Ranger awards exist in pale blue thread, such as the Leading Air Ranger badge. It appears there were no special interest badges available to Cadets, it seems that the comprehensive 2-year Cadet programme would have taken up all of their time - unless you know different . 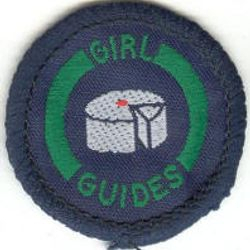 . .
During the 1990s, Senior Section members were able to work on the 'Staged' interest badges, as shown in the Brownie Badge section above. I am not sure whether this has ever officially been withdrawn, however as the badges themselves stopped being sold in the early 2000s, it must be assumed that this option ceased to be available as stocks ran out. In July 2018 with the launch of the new Ranger programme, a set of Interest Badges is launched, linked to the 6 Theme areas. 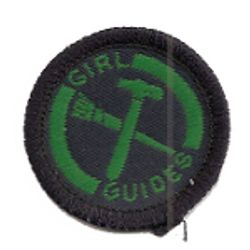 The badges are: Women's Rights, Morals and Values, Genealogy, Blogging, Animation, Costumes, Sports, Cooking, Self-care, Festival goer, Travel, Bushcraft, Protesting, Volunteering, Voting, Event planning, Entrepreneur, and Digital design. Over the years, there have been various special awards which have been available . I will make a start here on detailing what some of the awards available to the youth sections and how they were gained. Where these were also available to adults, this has been stated. Generally, awards for gallantry or fortitude were mainly awarded only to girls (though some exceptions exist for especially meritorious deeds by adults). Over the years some awards were introduced or discontinued, hence some may appear to cover the same topics/achievements. 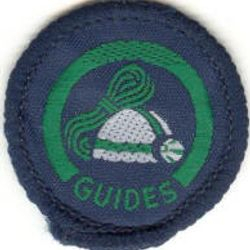 This was originally awarded for gaining a particular number of Guide interest badges (basically most of those which were available at the time), but it soon transferred to being the highest award for adult service in Guiding, usually incorporating service in more than one country. 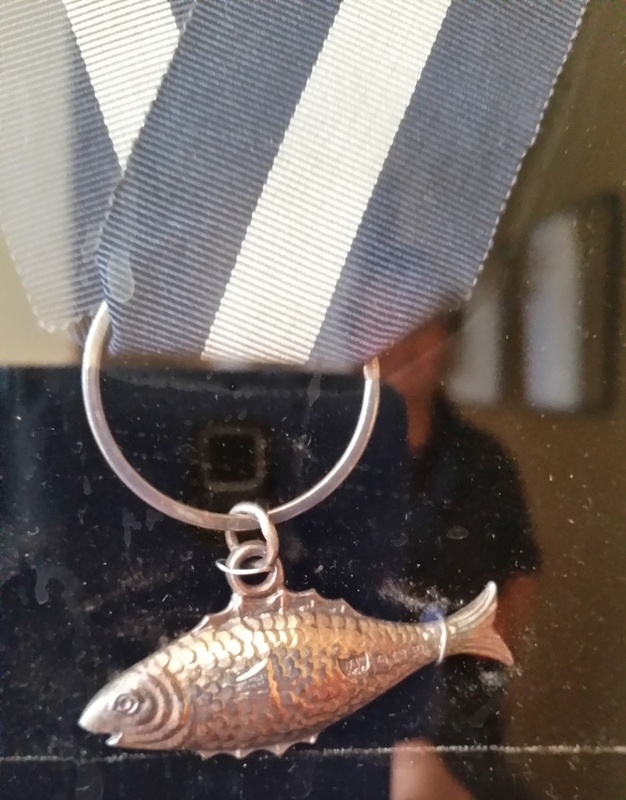 At the time of this change the design altered from being a fish in a nose-touching-tail circular pose, to being a side-profile of a fish - both designs were worn on a neck ribbon which had a light blue centre stripe with navy edges. 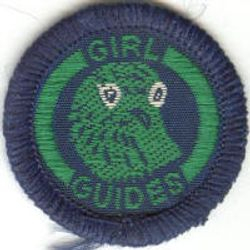 For especially good service to the movement, a bronze beaver in profile on a navy ribbon with light blue edges (the reverse of the Silver Fish ribbon colours). 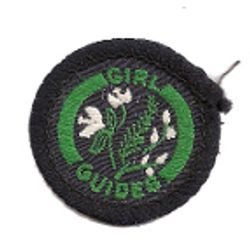 For especially good service to the movement, a Guide trefoil cut-our set within a laurel wreath, originally enamelled and worn on a neck ribbon featuring wide blue stripes on the outside with a wide white stripe in the middle, separated by narrow stripes of mid-green. 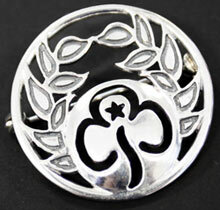 Now a silver brooch with no enamel which can be pinned on to uniform garments. The highest award for gallantry, awarded where extraordinary heroism has been shown, or extraordinary risk of life in saving life, girl or adult. Red ribbon. For gallantry where considerable risk has been faced, girl or adult. Blue ribbon. For an act of gallantry where the risk of life has been less, girl or adult. Green ribbon. Certificates of merit and letters of commendation were also issued for very meritorious acts, to girls or adults. 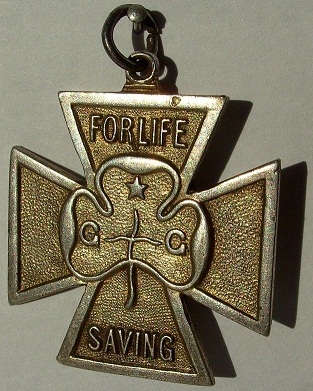 Given for acts of gallantry, or suffering endured, for members aged under 26, it replaced the Gold, Silver and Gilt Crosses, the Badge of Fortitude and the Medal of Merit. Only available from 1918 to 1928, "for pluck in saving life, self-sacrifice in work for others, endurance of suffering, or calmness in danger". 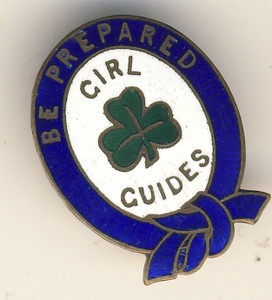 "The personal character of the Guide as testified to by the captain, or ascertained by the Headquarters Committee, will be an important factor in the awarding of this badge, and a recommendation from the employer or school authorities as to punctuality, energy in work, and steadfastness of purpose, will also be required". Awarded to girls in an "Extension unit" with at least 6 months service, who have shown exceptional courage and endurance under suffering. 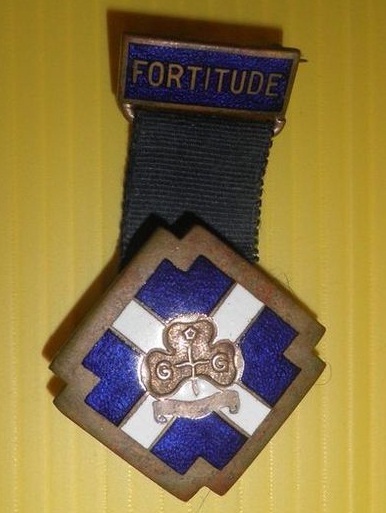 Diamond-shaped badge in navy with a white diagonal cross and trefoil in centre, mounted on a navy blue ribbon suspended from a blue-enamelled bar with text "Fortitude". 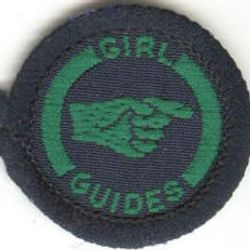 This was usually given to adults who were not Guiding members, but who had given good service to Guiding in some way. It could be given by an individual unit with permission from the Commissioner, as well as at a higher level by a Commissioner or Adviser. 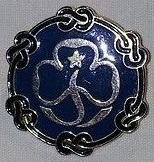 Traditionally, members were expected to offer help to anyone they saw wearing a Thanks Badge. 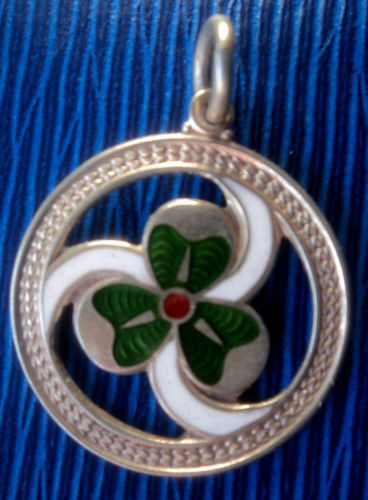 The style has varied over the years, with some hanging by a chain from a bar brooch (which can be plain, or can be engraved or enamelled) and others having a pin directly on the back - the design itself is a trefoil inlaid with green enamel, within silver and white swirls. An award for unusually good service to the movement, ribbon navy centre stripe with white edges, the award itself being a round wreath of laurels with a Guide badge in the centre. 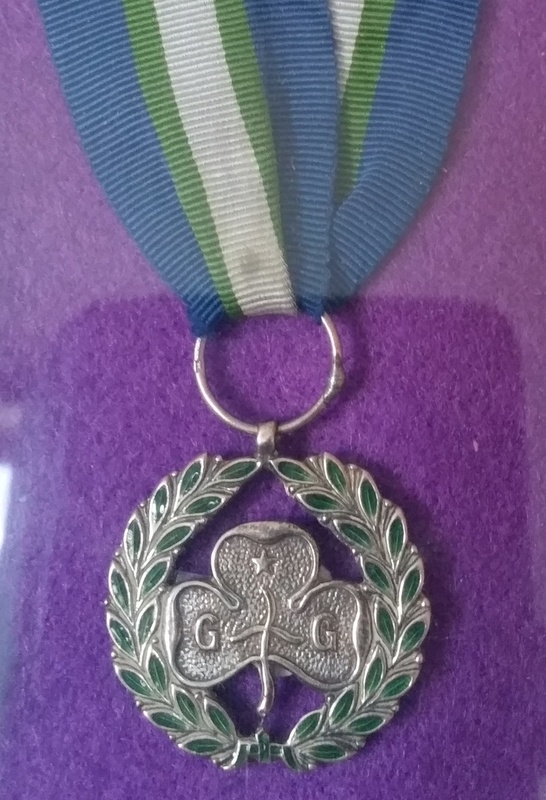 An award for very meritorious service, ribbon saphire blue ribbon with green edges, the award itself being an elongated hexagon with an oak leaf in enamel on a coloured background. 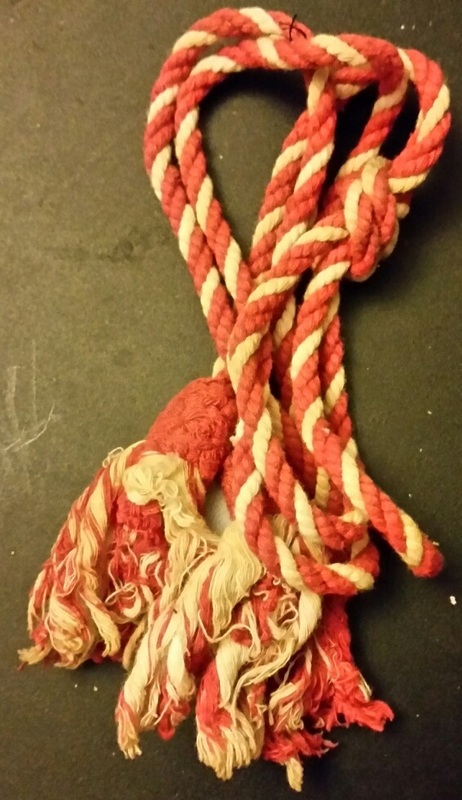 These were similar in format to the Guide All-Round Cords, with the same requirements, but produced in red and white colour scheme for Rangers, and were worn round the shoulder of the uniform. 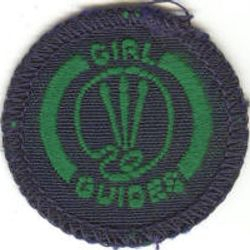 Awarded to anyone who had at least 2 years' service, one week's camp experience, and the following badges: First Class or Ranger Star, Sick Nurse or Emergency Helper, Probationer or Samaritan, Handywoman, Swimmer or Signaller or Signalling Transmitter, Athlete or Gymnast or Folk Dancer, Naturalist or Nature Lover, Nurse or Child Nurse, Laundress or Finisher, Scribe or Citizen, Domestic Service, and five other badges of her choice. 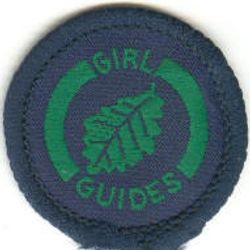 She must also train a Guide for First Class badge, and complete a written test paper. Her Captain must submit a report of the Patrol's work for the year, indicating the Guide's role in the Patrol. 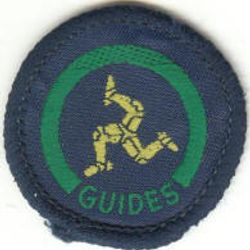 Awarded to Extension Guides, whether or not they are members of Extension units, who hold the Blue First Class badge and any other seven badges in addition to those passed in gaining the Blue First Class badge. This was first introduced in 1946, with the Queen in question being Queen Elizabeth, who was later known as Queen Elizabeth the Queen Mother. In 1953 it became the current Queen Elizabeth II, hence the change to the crown featured in the badge from the angular one on the left to the more rounded crown on the right. 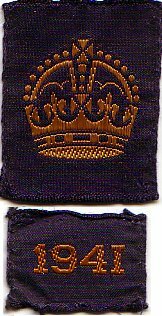 In both cases, the badge showed the crown on top of the First Class badge of the era, it was designed to show that those who had earned it were 'more than First Class', and the badge was produced in both cloth and in metal formats. 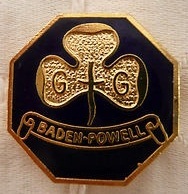 In 1968 a new cloth badge was brought in (shown below left) which featured only a crown, later GG lettering was added either side and a trefoil added under the crown, as shown below. Both these badges were also produced in both cloth and metal. 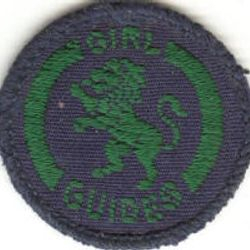 At that time, the syllabus of the Queen's Guide award was based on gaining a high number of interest badges, some being compulsory ones and others being chosen from a limited selection in different fields. 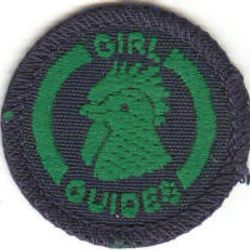 In some units, girls were expected to gain (or were even pushed into gaining) the necessary interest badges at regular intervals during their time in the unit, such that it was the norm for all the older girls in these units to have gained all of the necessary badges to earn the Queen's Guide award without necessarily having had a strong personal desire or drive to achieve the award, or necessarily have taken a full and active role in the other parts of the Guide programme (these units were sometimes referred to rather disparagingly as 'badge factories') - in other localites awards were fewer, and it tended to be gained only by the extremely keen individual who gained the award through her own personal drive and determination to work towards and and pass all the necessary badges in her own time without any special assistance or extra encouragement, as was the original intention of the award. 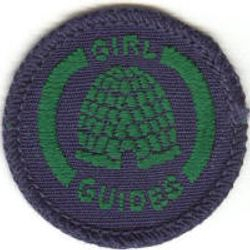 Perhaps as a result of these 'badge factory' units, in 1983, the Queen's Guide was moved from the Guide section to be a Senior Section award, and the design changed dramatically, to a silver-coloured metal pin badge featuring a crown surrounded by a ring of trefoils, as shown on the right. The syllabus, too, changed to become a set series of challenges on different topics which were all related to active citizenship, designed to reflect the differing programme aims of Senior Section as compared to the Guide section. 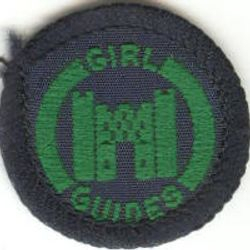 This was introduced to the Guide section in 1983, at the time when Queen's Guide moved to become a Senior Section award. From that time onwards, it has been the highest award issued in the Guide section. 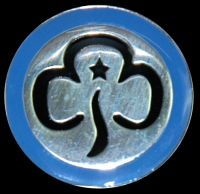 Over the years the design has changed from being a blue enamelled trefoil with a scroll, to an octagonal badge with blue enamel, to the oval design shown on the left, and a new design was introduced in 2014, in a star shape to match in with the annual Challenge Badges, which were also changed from being round badges to being a star shape. Originally there was a syllabus of different set clauses to be tackled, now the individu al has to choose 10 challenges across 5 different sections, before taking part in a 'Baden-Powell Adventure' where she meets other Guides working on the challenge, tries new activities, and finds out about the opportunities available in Senior Section. 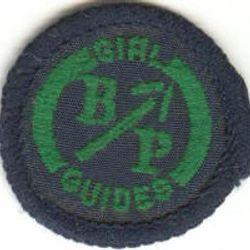 A separate cloth badge and certificate is awarded to those who go on Baden-Powell Adventures, separate from the main Challenge badge, which can cause confusion. 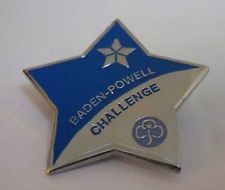 The Baden-Powell Award will cease to be issued from July 2019. 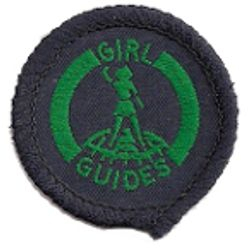 This was introduced in the 1990s and can be gained by any Guiding member in any Commonwealth country who is aged from age 13 to 26, so it straddles Guides and Senior Section - the only award to do so. There are some compulsory challenges, then the individual can make certain choices among the remaining categories to complete the award. It too is based on Guiding knowledge, Commonwealth knowledge and active citizenship. 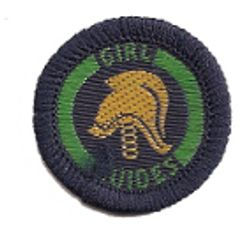 This was a Senior Section award, introduced in the 1990s with the new 'Look Wider' programme and awarded to a member who completed the phase one and phase 2 section of all eight 'Octants' in the Senior Section programme. It will cease to be awarded in Summer 2019, as the Senior Section programme is phased out. 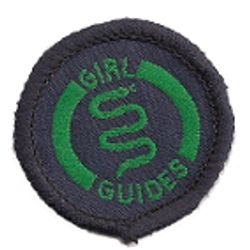 Introduced in July 2018, for girls who complete all six Theme Awards in a Section, plus an extra challenge. 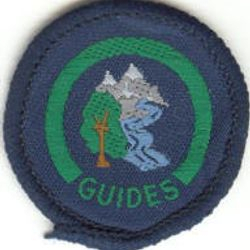 Guiders have never been permitted to gain or wear interest badges. There are, however, some unofficial badge schemes (such as BOGUK) which allow Guiders to challenge themselves to gain badges on various topics. Music in the Pack Certificate: A qualfication to indicate proficiency in leading music sessions for Brownies. 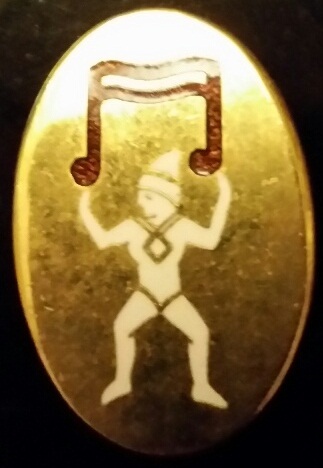 Oval brass badge featuring a Brownie figure under a music note. Later replaced by a 'Music In The Unit' qualification to cover any of the section, as shown below. 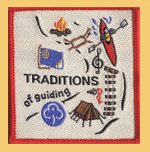 Campfire Leader Certificate: A qualification to indicate proficiency in leading music sessions for Guides or Senior Section. 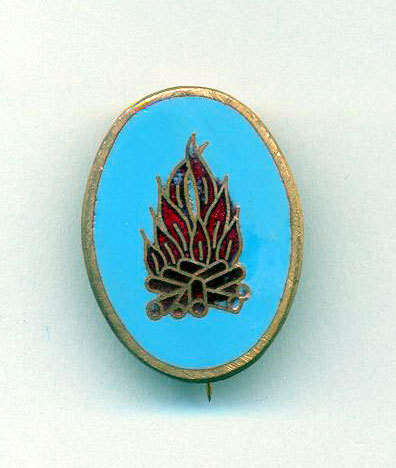 Aqua enamelled badge feauring a campfire. Music in the Unit Certificate: this replaced the Music in the Pack certificate, and was designed to be the music qualification to cover all sections of the movement. It was designed so that it could be gained for one section, with the option of adding further modules to cover other sections. It was short lived and despite much active campaigning, there are so far apparently no plans to reintroduce it. 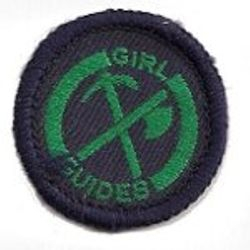 Holiday Licence: A qualification for taking Guides or Senior Section on Indoor Holidays. Metal bar with navy, dark green and navy enamel bars. Pack Holiday Licence: A qualification for taking Brownies on Indoor Holidays. Metal bar with bronze, dark green and bronze coloured enamel bars. A leader who had gained Pack Holiday licence was also entitled to wear a brown lanyard as part of her uniform. 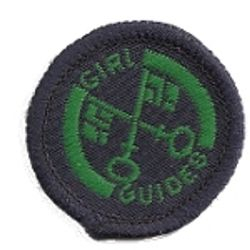 Camp Licence: A qualification for taking Guides or Senior Section Campi ng. Metal bar with dark green, bronze and dark green coloured enamel bars. 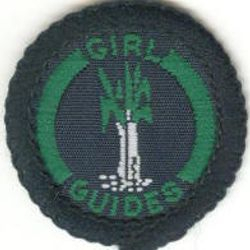 A leader who had gained Camp Licence was also entitled to wear a green lanyard as part of her uniform. Canoe Permit: This qualification indicated authorisation to instruct in canoeing in both inland and sea waters. Metal bar with yellow enamel. Power Boat Permit: This qualification indicated authorisation to skipper groups on power boats (could be narrowboats or powered launches). Metal bar with white, blue and white enamel. Boating Permit: This qualification indicated authorisation to skipper groups on boats powered by sail, such as yachts and dinghys. Metal bar with blue enamel - for certain qualifications the owner could paint on an 's' in white. Rowing and Power Cruising Permit: the separate badges for Canoe, Power Boat and Boating were withdrawn, and replaced by a single badge which was awarded for any of the three categories qualified in. 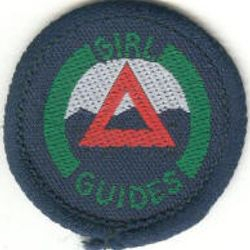 Walking Permit: the qualification needed to take groups rambling in hill or mountain country, the current badge featuring a walking boot. Previously all Leaders had to undertake an urban 'Walking Safely' training as part of their Adult Leadership Qualification. Climbing and Abseiling Permit: the qualification to take groups climbing on climbing walls or cliffs, or to do abseiling either on artificial towers, indoor climbing walls or on natural cliff faces.. 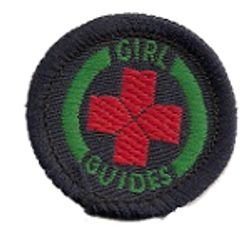 Issued to Leaders for a number of year's service as a Guider, Commissioner or Appointment Holder. Replacing the service stars which were originally worn on the uniform jacket above the pocket (with felt backs to indicate which section they covered), the badge introduced (possibly in 1968?) was a white figure-of-eight knot on navy, later a system of coloured knots was established, the order being white, then pink, then green. Over the years the number of years each of these represented varied, latterly they were for 10, 20 and 30 years respectively. A special badge was introduced, featuring a trefoil surrounded by a ring of reef knots on a blue background, for 40 years' service. 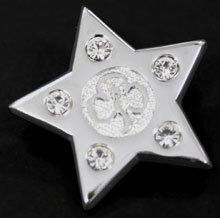 Lately these have been replaced by a series of silver-metal brooches in the form of a square badge featuring a '5' for five years' service, and thereafter a twisted ribbon-shaped brooch, in either matte or polished metal, with a star which in some cases features an embedded crystal, for 10, 20, 30 and 40 years' service. The system is matte - 10 years, shiny with hollow star - 20 years, matte with crystal-embedded star - 30 years, shiny with crystal embedded-star - 40 years. Some Counties and Regions have opted to create their own 'Good Service' awards, which can be awarded locally, they exist in some areas but are not widespread at present. 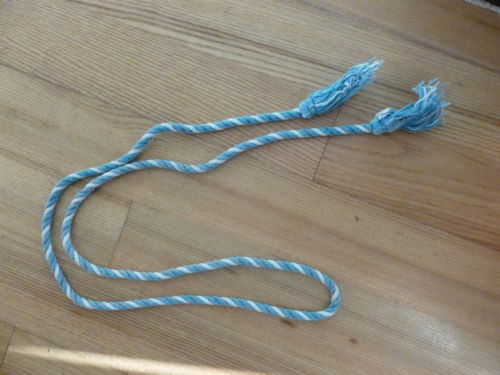 Various coloured Hat cords were worn by Commissioners and Advisers at different levels, but these were indications of rank, rather than being awards relating to achievement. 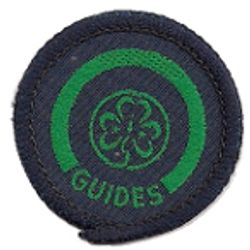 At this time, too, all Commissioners wore cords which were looped round the shoulder before being pinned to the lapel of the jacket using the Promise badge, similar to the Guide and Ranger all-round cords mentioned above - again these were rank indications, with differing colours denoting which rank was held. They were all later replaced by the system of coloured cockades, when Leaders' hats were changed from brimmed felt hats to berets, and then by the coloured 'hat flash' worn on the side of the 'air hostess' hats which were in use from 1968 - 1990. Thereafter no distinguishing marks have been worn.